It’s a cup full of carrots! See? They’re like kinda-sorta-muffins. 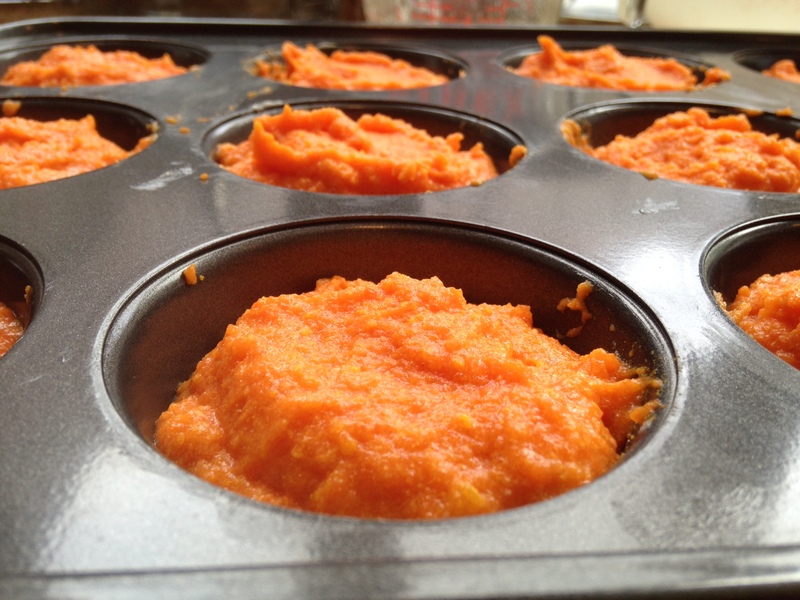 Like carrot-y baked… thingies! Oh, just ignore me. I’d better give you the recipe before I confuse you more. 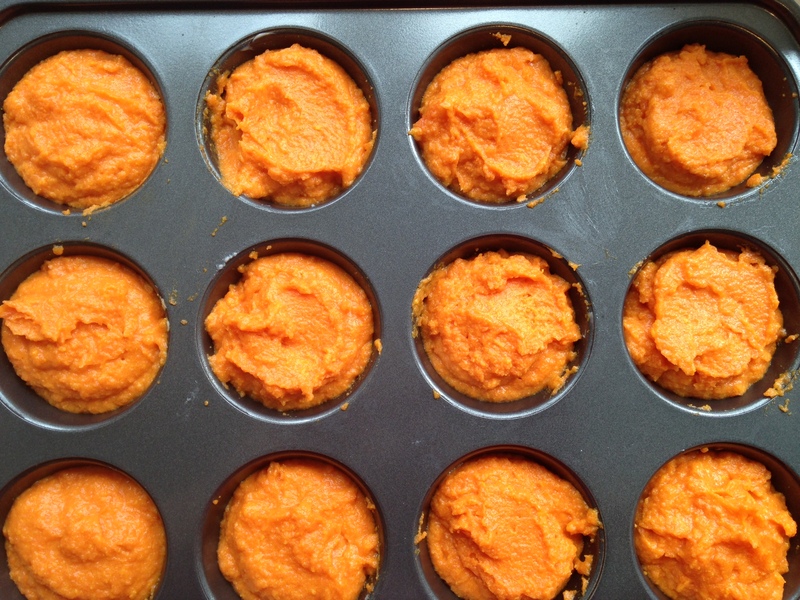 To start out, you’ll want to preheat your oven to 350 F and grease a muffin tin. Then, boil the carrots in salted water, uncovered, until very tender (approx. 15-20 minutes). 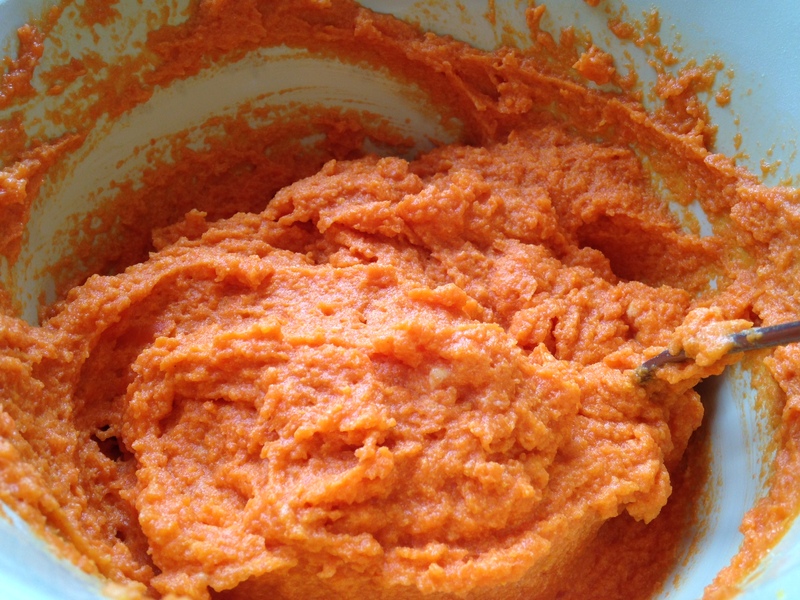 Drain the carrots and purée them in a food processor until smooth. In a small bowl, combine matzoh cake meal, potato starch, and salt. Now for the eggs. And no, you will not be using this many. 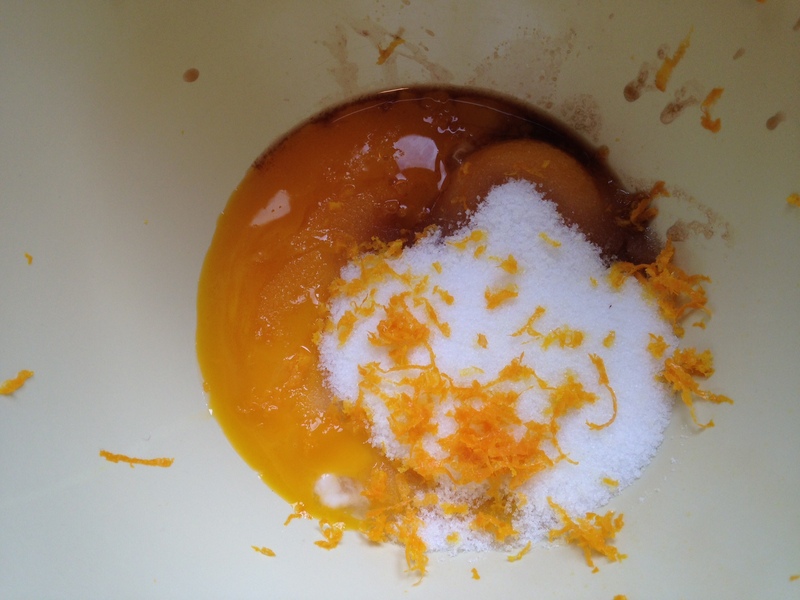 In the bowl of an electric mixer (or just a large bowl if you’re using hand mixers like me), throw in the egg yolks, sugar, orange zest, and vanilla. On high speed, mix these until thick and pale in color. Now add in the dry mixture and reduce speed to low, mixing just until combined. Grab those puréed carrots you set aside, along with the melted butter/margarine, and add to the mixture, again mixing just until combined. 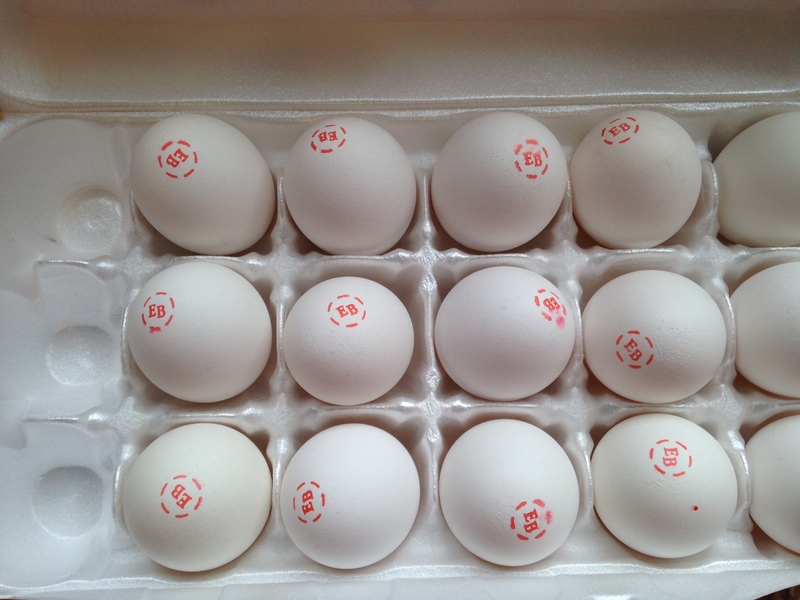 Set this aside and turn your attention to the egg whites. Beat the whites in a large bowl until they just start to form stiff peaks. 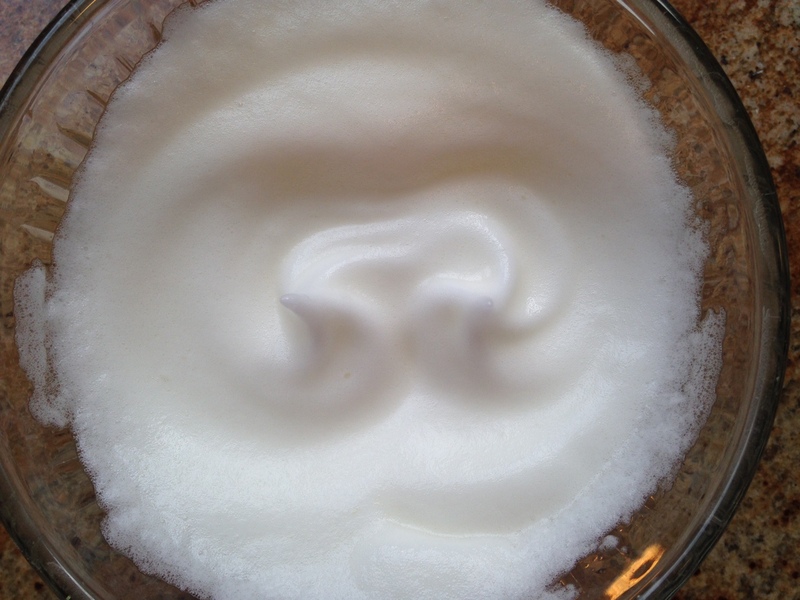 Hey, egg whites are kind of fun to take pictures of! They’re just so… swirly. 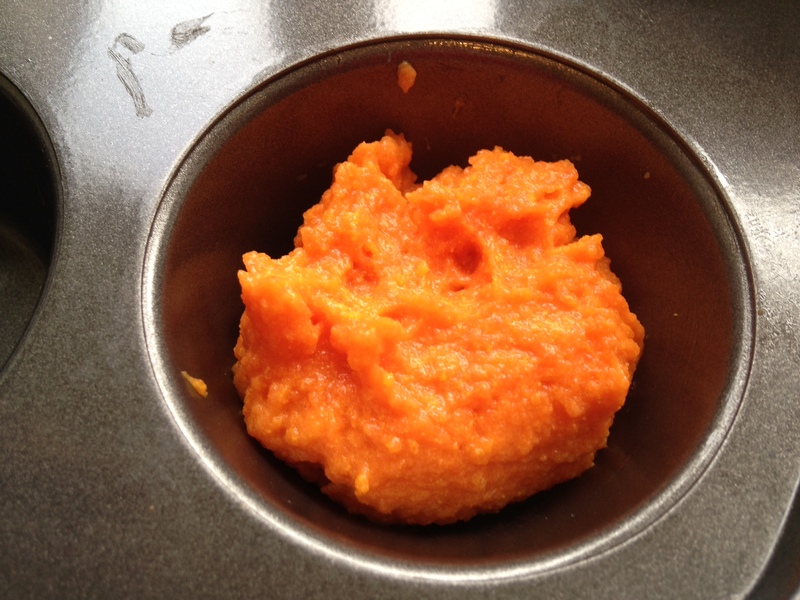 Take your carrot mixture and carefully fold in the whites, working with 1/3 of the eggs at a time. And fill the muffin cups! Keep doing this until you’ve distributed the batter evenly amongst the 12 cups. 1. Heat oven to 350 F. Grease a muffin tin. 2. In an uncovered saucepan, boil carrots in salted water until very tender (approx. 15-20 minutes). 3. 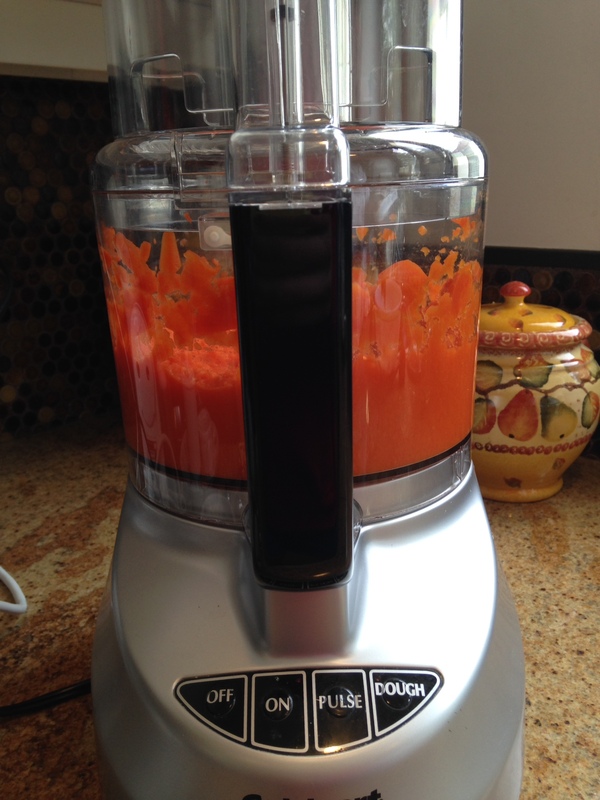 Drain carrots and purée until smooth. 4. 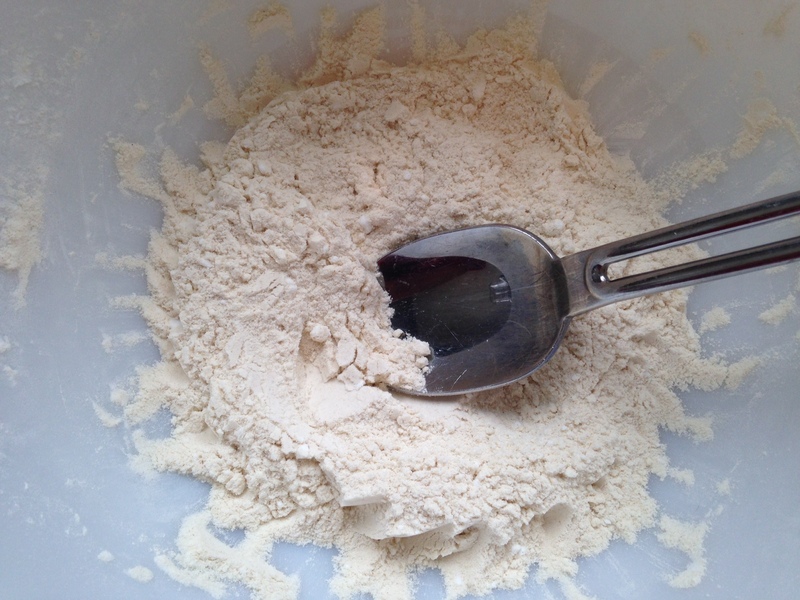 In a small bowl, combine matzoh cake meal, potato starch, and salt. Set aside. 5. 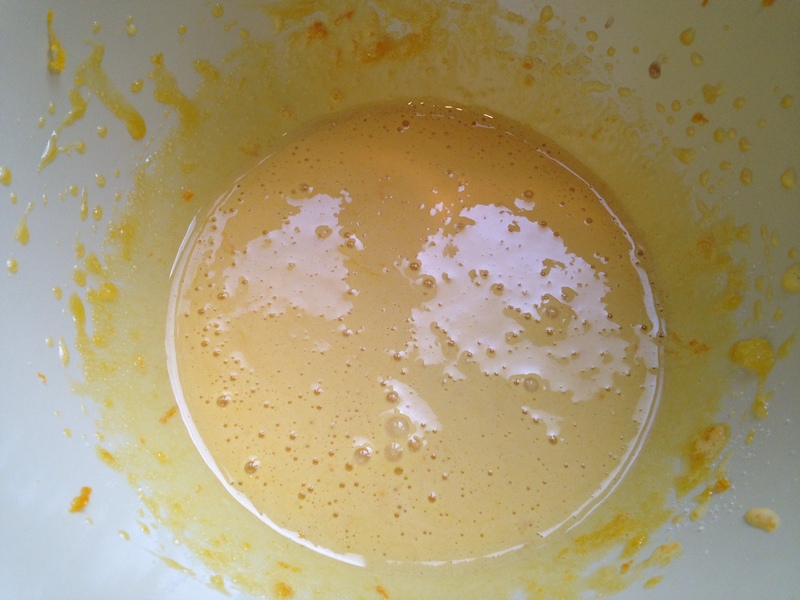 In the bowl of an electric mixer (or just a large bowl if you’re using hand mixers like me), beat egg yolks, sugar, orange zest, and vanilla on high speed until thick and pale in color. 6. Add in the dry mixture and reduce speed to low, mixing just until combined. 7. 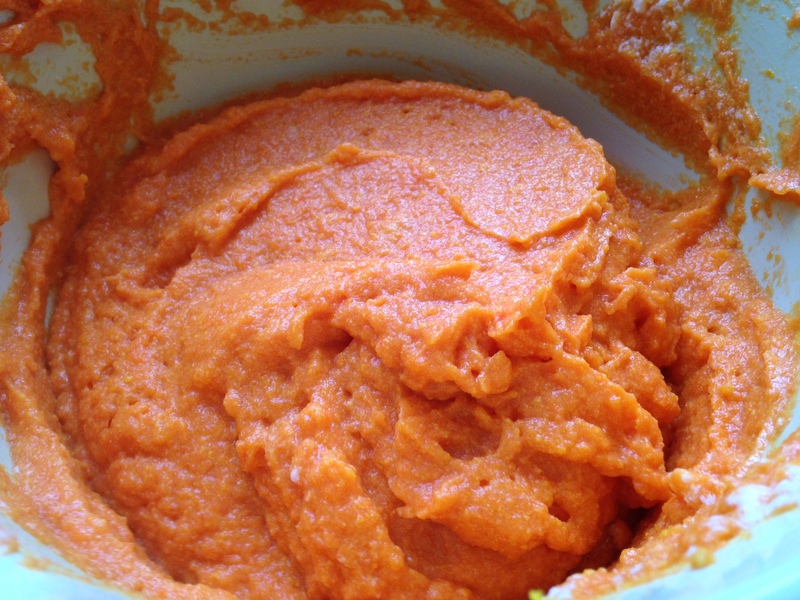 Add the carrots and melted butter/margarine to the mixture, again mixing just until combined. Set this aside. 8. 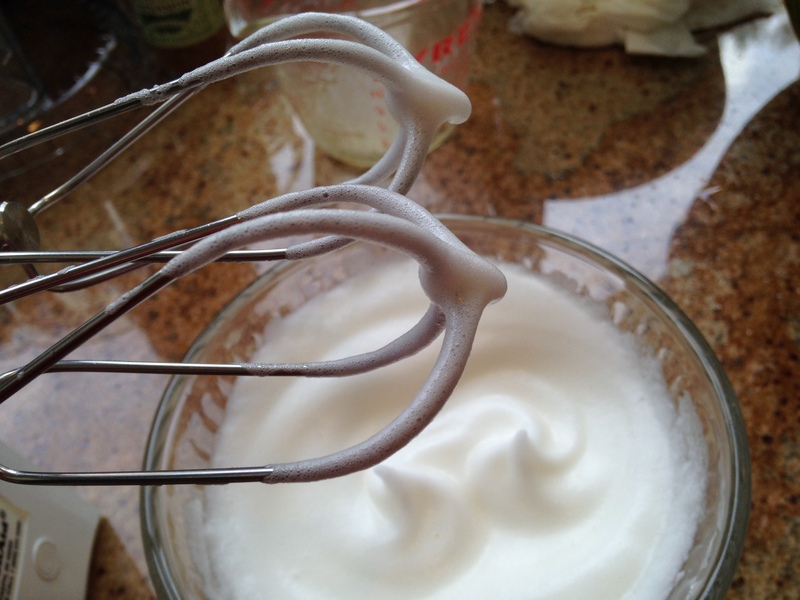 In a separate large bowl, beat the egg whites until they just start to form stiff peaks. 9. 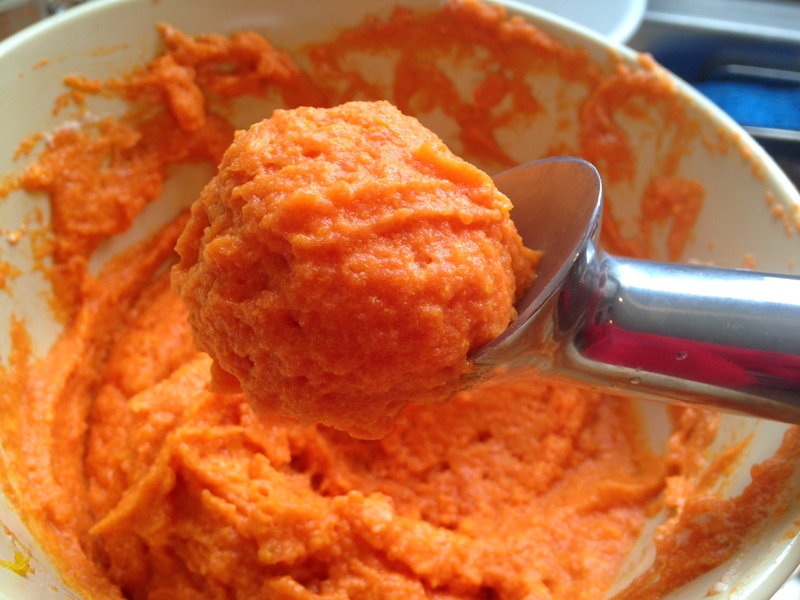 Take your carrot mixture and carefully (but thoroughly) fold in the whites, working with 1/3 of the eggs at a time. 10. 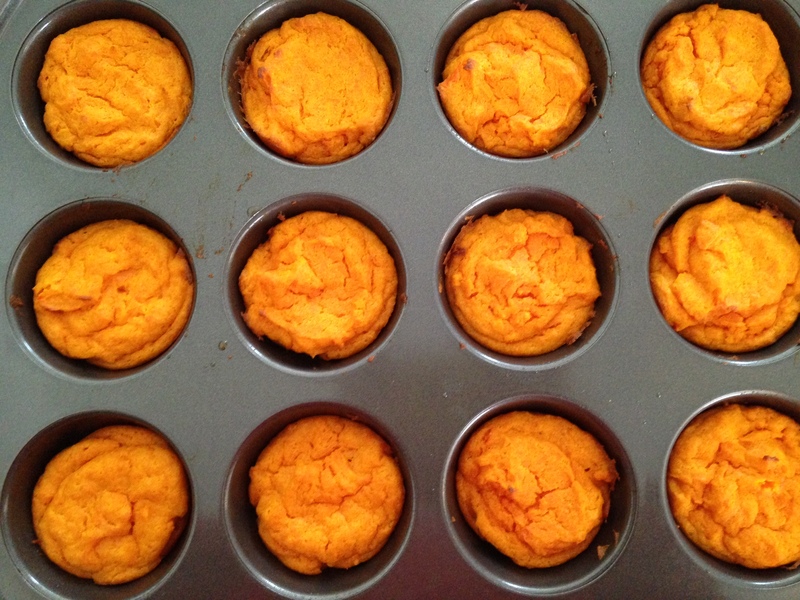 Using a spoon or scoop, fill the muffin tins until you’ve distributed the batter evenly amongst the 12 cups. 11. Bake for 40-45 minutes, until a toothpick comes out clean and the cups are browned on the edges. Cool on a wire rack. Yum yum. I hope you all enjoy this recipe. Happy nibbling!